Granny's BBQ Sauce is an Oscar winning sauce? Close enough, with all the awards this BBQ sauce has received you wouldn't be surprised if there was an oscar in that bunch. This barbecue sauce gets a blue ribbon everytime for best performance in competitions. 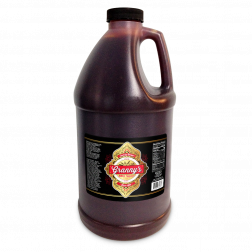 Granny's BBQ sauce is a favorite of many BBQ smoker enthusiasts - from elite BBQ teams to die hard backyard BBQ warriors. Granny's BBQ Sauce recipe was created in 1950 in North Carolina and the family recipe is still going strong today. 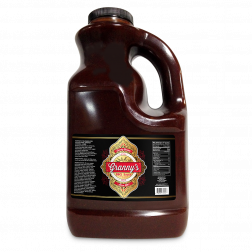 Granny's BBQ sauce has been used in the competition circuit and has collected many awards along the way, overall this BBQ sauce is sure to become your new favorite. 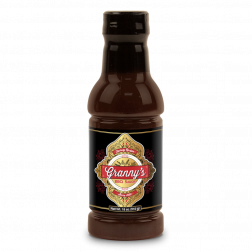 Granny's BBQ sauce started off as a family recipe and now has evolved into a top selling, award winning BBQ sauce. - That's the power of high-quality BBQ sauce.